What a week it has been for GR8 MATES. Plenty of potentially positive events, some wobbles, some heavy reflection ….. no rest for the wicked running a youth mentoring program. Our newly established programs are still trying to find their legs. Mentors are being incredibly patient, tolerant and understanding. 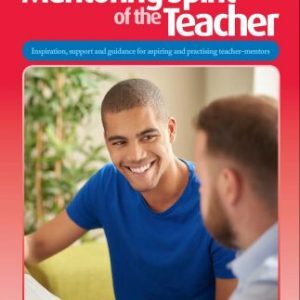 With a couple of mentees in one program ‘appearing’ to be truanting from school, it makes it difficult to involve them fully in the mentoring program and to expect busy mentors to hang around waiting for something to happen. I expect we will make some decisions next week as to whether or not to replace these youngsters. One reason is simply because the program only has a six month time limit and we want to work with students who want to be engaged at school for that period of time, giving themselves another chance to explore career options, other education options etc. It’s going to be a tough call, as the young people who are ‘possibly’ truanting would clearly benefit from the mentoring program. Students have been completing the Student Performer, the on-line assessment tool, and that continues to reveal heaps about these young people. One point that seems to be coming out of this activity is that a number of students are almost at the cross-roads with regard to life choices. They clearly have potential, are still battling to see the relevance of school, yet have no career pathways to travel down. The result is that they are drifting, definitely in danger of making the wrong choices which they could live to regret. Absolutely the right time to have a mentor move alongside them. A wonderful WOW! moment took place earlier in the week. Students at this school were involved in writing exams and mentors were waiting for a couple of students to finish. Another mentee, who is keen to obtain an Apprenticeship and leave school at the end of the year, arrived to link up with his mentor. I jokingly said that Joe (not his real name) doesn’t ‘do’ exams. His mentor reiterated the point with additional humor. I then made the comment to Joe that Angela (not her real name) was fast becoming his hero, taking sides like that. He smiled, gently placed a hand on her shoulder and said with the utmost sincerity, “She is my hero!” A young lad, disengaging from school not too long ago, is now self-motivated and trying to turn things around. His mentor commented later that she was so touched by this gesture, as it was his way of acknowledging the fact that she cares about him and the choices he makes with his life. We live for those golden gem mentoring moments. 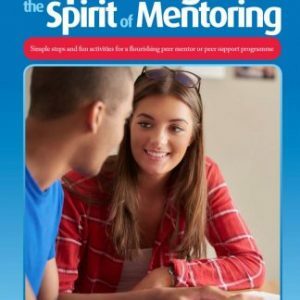 There are a couple of other mentees going through difficult relationship issues, opening up to their mentors only a few weeks into the mentoring journey. Again, the non-judgmental, wise guide doing his or her level best to be empathetic is shining through. And so I could go on …. At our first pilot school we are busy planning the final closure event, entitled a Celebration of Learning, about which I will write more at a later date. 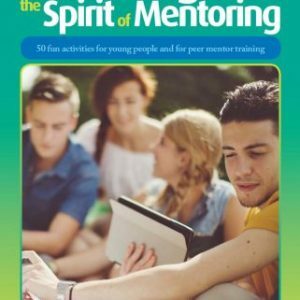 We are also exploring the possibility of some students from that school making a three minute video of the mentoring journey which we can include on our website for marketing and recruiting purposes. Meanwhile the 12 mentors for the next program at that school are being trained and there is now a good chance that a couple of the current mentors will each choose to mentor another student. At least three of the current mentors are going to continue mentoring their mentees until the end of the year, a wonderful gesture!! I have been writing my mid-year report and am seeing the signs that perhaps I will soon be over-reaching myself (is there such a phrase?). I will not be able to sustain the GR8 MATES program on my own ie, finding funding, setting up a Steering Committee, completing all the admin to ensure the program meets internationally credible Quality Assurance Standards and recruiting possibly up to 60 mentors during the next few months, training them so they are ready to start in February 2009 and then supervising them all. So, I am busy reviewing the way the program is structured, exploring ways the schools can take on some fairly minor changes to the admin and putting together the Job Description (too strong a word) for a Volunteer Team Leader from within the mentoring group who would preferably be someone already involved in mentoring within the GR8 MATES program. This, after all, is what pilot programs are for. I have had some interest from mentors wanting to serve on the Steering Committee and, this afternoon, shared ideas with another mentor who might volunteer to edit a new Blog page and quarterly newsletters etc. for the program. In reality what I am trying to do is to recruit people on the ground who will become part of the building of this GR8 MATES program, so there is a whole group of people who will catch, shape and grow the GR8 MATES vision. Thus, if we are able to receive some meaningful funding support (I put in another application today, but need more time to do more work in this area – does that sound familiar?) we will be ready to kickstart the expansion of the program.